Nearly three thousand years ago, sometime between 800 and 600 BCE, the inhabitants of what is now known as Greece passed the time by relaying tales about a war of tremendous proportions. The individual credited for collecting all of these stories and sharing them as one unified collection was a man known only as Homer, who wrote the Odyssey presumably, but very little is known about his actual life. These stories were titled as Iias and Odysseia, translated to English to be the Iliad and the Odyssey. Homer’s tales can be linked to historical battles for control over the waterway joining the Aegean Sea to the Sea of Marmara and the Black Sea. These struggles were said to have occurred as early as 1200 BC. The first epic, Iliad, tells the story of the ten year battle of Troy. Today, the ruins of Troy are still visible in western Turkey. In Iliad, the Trojan War was fought between an alliance of Greek kings and the people of Troy; during that time, every island and the Greek mainland had their own king. The war mention in the epic of Iliad was said to be caused by sexual jealousy. Helen, regarded as the most beautiful woman in the world, had abandoned her husband, Menelaus (a king) and had run away with Paris, a prince of Troy. 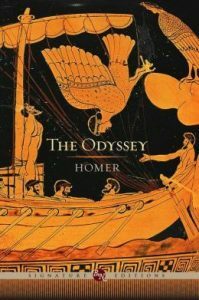 In Homer’s second epic, The Odyssey, the story follows the journey of Greek king and soldier, Odysseus, and his attempt to return home after the Trojan War. The Odyssey has been the inspiration for several movies and books.